Animal Emergency Hospital Volusia is your local emergency veterinarian hospital in Ormond Beach serving all of Volusia and Flagler Counties. When your pet experiences a medical emergency, our dedicated staff is here to help you and your pet. Your pet will receive top notch veterinary emergency services and you will experience clear communication and compassion. Our team is dedicated to being a resource as your local veterinarian when an emergency occurs. 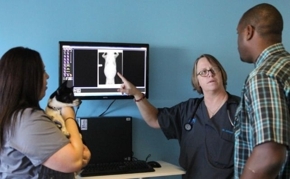 Animal Emergency Hospital Volusia offers affordable veterinary services for all animals. Our doors are open 24/7/365. Call (386) 256-1425 for immediate attention.